It’s time to make an impression with a collection of men’s skinny pants! 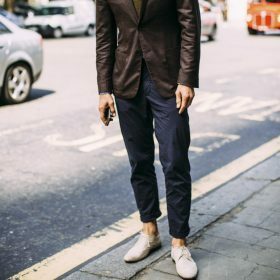 Either you’re already a believer in the trend or see the style as being a little intimidating; here are three things to remember whether you’re a novice or expert in styling men’s skinny pants. Firstly, make sure you find the right fit: take the time to discover which of the brands suit your figure the best and build a little brand loyalty. Secondly, if in doubt always look for dark wash as it will refine your look. Finally, carefully pick which shoes you want to complete the look with. Our suggestion would be some suede brogues!